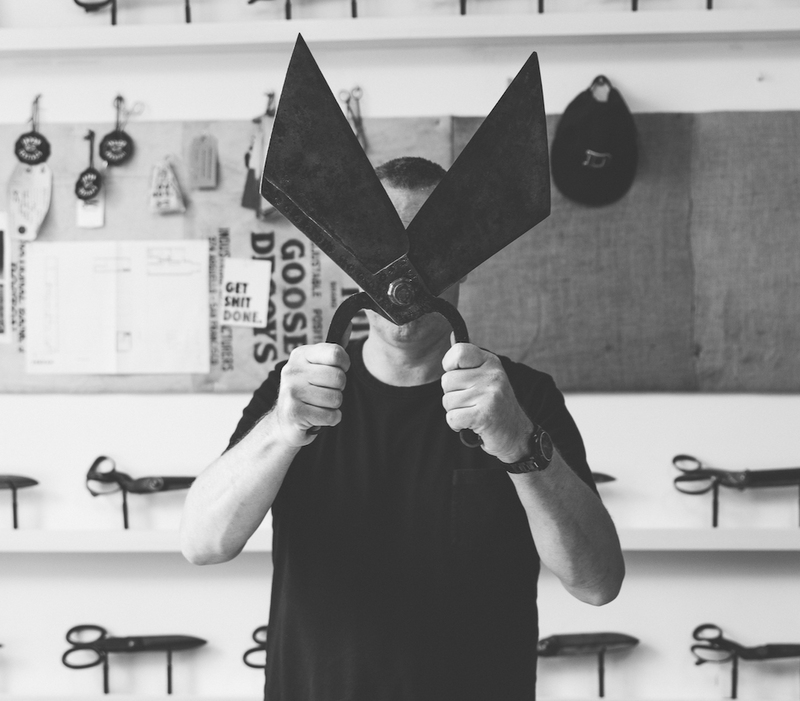 The success of Denham the Jeanmaker is a lesson in staying true to your core. Founder and chief creative officer Jason Denham launched the Amsterdam-based label in 2008 with the goal of creating a premium quality product that pays homage to Japanese denim’s tradition and attention to detail. Ten years later, the brand is sold in more than 20 countries, offering men, women and children full range collections that capture denim’s unique ability to be simultaneously traditional and innovative. Denham shares with Rivet how embracing new fabric technologies and establishing the right partnerships has evolved the brand into the decade-old globally recognized label it is today. Rivet: You launched the brand in 2008 with 14 oz. Japanese selvedge. Today stretch and super stretch styles are among the brand’s most popular styles. What was the turning point? Jason Denham: It’s true we started the brand at the height of the ‘heritage trend’ which was great because it educated consumers about quality. However, we realized very early that we needed to adapt and shift from heritage quality focus to performance and sustainability, whilst always maintaining quality materials and a modern aesthetic. The turning point was seeing how well the skinny silhouettes were performing for women, which was credit to the technology and development by the denim mills. Then, the same demand came for skinny silhouettes for men and it was a natural move to adapt the same technology in men’s denim. That said, we have always stayed true to our brand values and Japanese selvedge denim has remained in the collection since the first season until today. Only the balance and consumer demand has shifted. Rivet: What has been the biggest hurdle to overcome during the first 10 years? JD: There have been many, but I guess patience is a big one. It’s important when you start any business to make a three-to-five-year plan and aim for it. We have had many opportunities to go off plan which could have changed the course of our brand, however I’m happy that we stuck to our strategy. Like a band, you need to get past your third album, stay relevant and not be afraid to do things differently and adapt your business model. In the last decade, we have seen literally everything change in our business—the switch of power from online to offline, the dominance of social media and the remodeling of agents and distributors. Rivet: Consumers’ perception about quality and price have changed in the last decade. How have you maintained quality and premium price point? JD: By staying true to our brand values and mission statement. It’s true that denim today is available on every price level. We have always worked with the best Italian and Japanese mills and laundries and maintained a premium price point business. Very early on we adopted a storytelling mantra as a brand-unique selling proposition which invariably is about quality product. Rivet: In terms of innovation in denim, where do you see the most exciting advancements coming from? JD: Italy and Japan have the leading denim mills in my opinion. Performance has massively influenced denim in the last 8 years and it’s for the good. Denim has always been an inherently cotton based product, but today the introduction of multi blend spinning and advanced technology with Lycra T400, Tencel, modal and polyester has transformed the denim business. Rivet: What are you most proud of about the brand? JD: Hitting 10 years is a great milestone that I’m very proud of and seeing my brand sitting alongside established, legendary denim brands in selected distribution is very humbling. This was my goal. However, looking back I think it was a brave move to build my brand in Asia and Northern Europe and focus on Japan and Holland as key markets. I am exceptionally proud of our Japanese business. Today we have 25 Denham stores in Japan with an incredible team of dedicated denim lovers led by our Japanese partner Mr. Aki Negishi-San. Rivet: What has been your most important collaboration? JD: I would say Candiani has been one of our most important brand building collaborations. We have a great history together and a great working relationship. We both respect and appreciate the history of our industry, but we both have a shared appetite for innovation. Rivet: What piece of advice would you give a denim designer starting their business today? JD: The first thing I would say is your timing is perfect. The denim market has never been so wide open and so accepting of newness. Anything goes in denim right now, which is great [because] it makes the market exciting and keeps the denim category relevant. My advice would be don’t be a ‘one trick pony.’ Keep developing your brand, but always stay true to your core brand strategy and maintain focus in everything you do. Rivet: Who continues to inspire you? JD: Adriano Goldschmied never fails to inspire me. He’s relentless, his constant and consistent energy for denim is second to none and there will be no other like him. He is the true godfather of denim. He never tires and never fails to innovate or rest on his achievements. Every time I see him he has a great story to tell, new sustainable idea or string of projects that he is busy working on. I have the original Genious Group poster hanging behind my desk and it inspires me every day. He reminds me I still have a lot to achieve. Rivet: How do you envision the denim industry in the next 10 years? JD: Good question—it’s changed 360 degrees in the last decade and the industry is going faster than ever so I’m pretty sure it won’t stop. We all live in a ‘see it now, want it now’ social generation. This demand will get stronger and supply will deliver. Design will continue to react to performance and limited editions will become stronger and stronger. One thing for sure is I believe that local production will become a big trend in future. Shorter carbon footprints and local source for local demand. I believe in local development for local markets. Ten years ago, when we started this brand, we shipped Japanese denim to Italy because they had the best laundries and then shipped finished goods back to our Japanese customers. We realized quickly that this was madness.